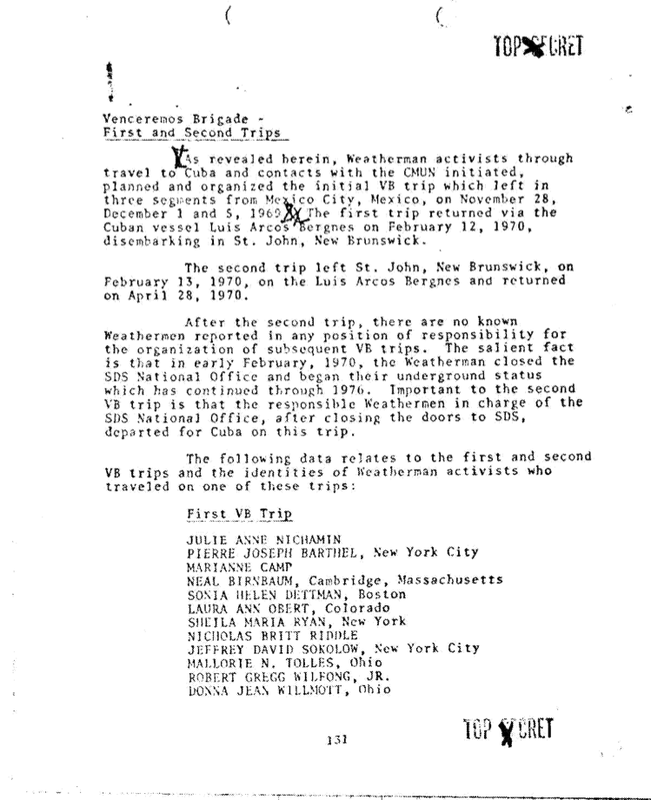 The FBI seems to list Sheila as part of the Venceremos Brigade to Cuba in early 1970, under an alias, “Sheila Maria Ryan”. This entry was posted in Left Press on February 13, 1970 by Matthew. 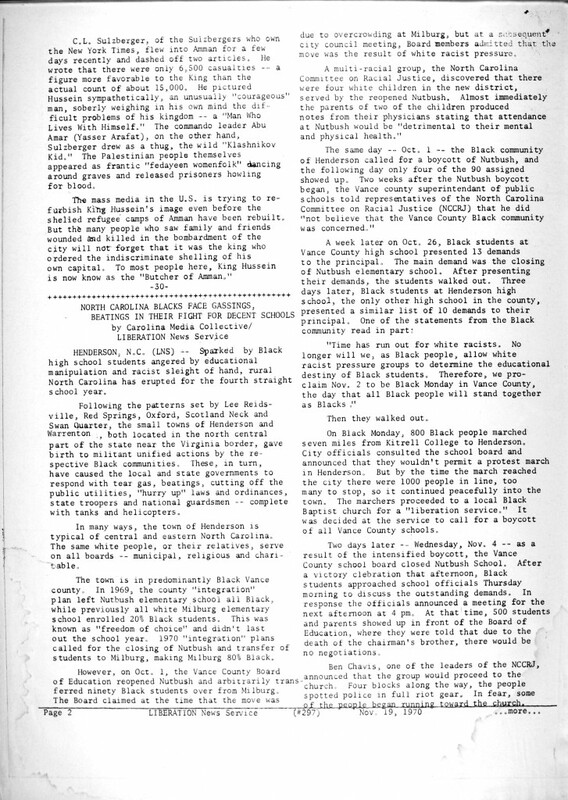 This entry was posted in Left Press, Middle East, Publications on February 14, 1970 by Matthew. In June 1970, Sheila and George left New York for the Middle East. The trip was partially financed by the advance for a book contract. The book was written, but never published. 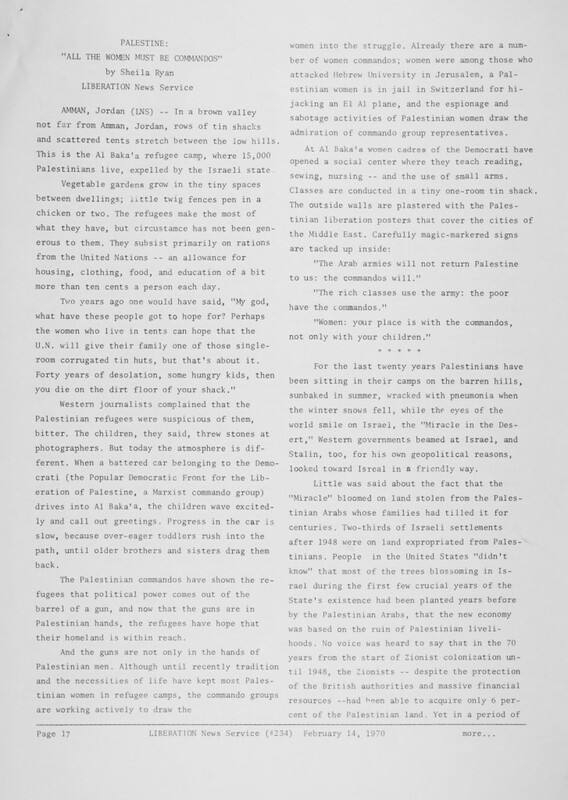 Cited as “Palestine on the Brink of People’s War,” Sheila Ryan and George Cavalletto, unpublished manuscript, 1970. 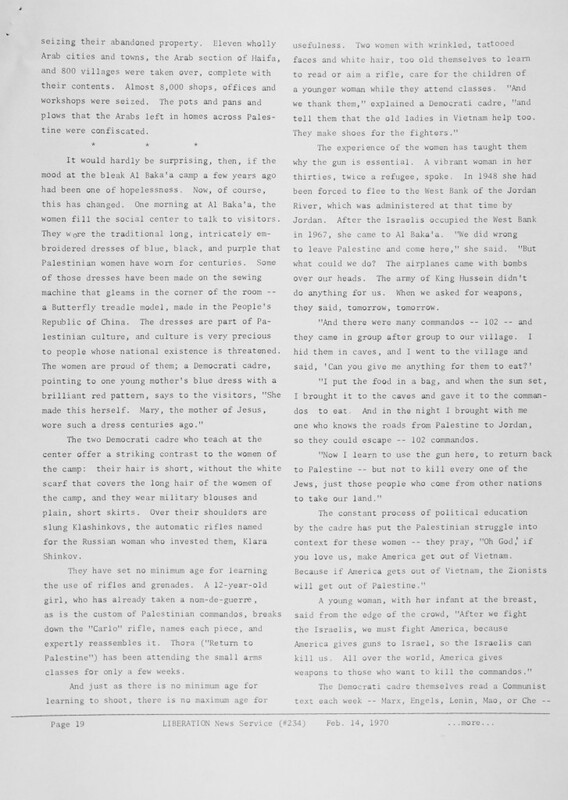 This entry was posted in Middle East, Publications on June 1, 1970 by Matthew. 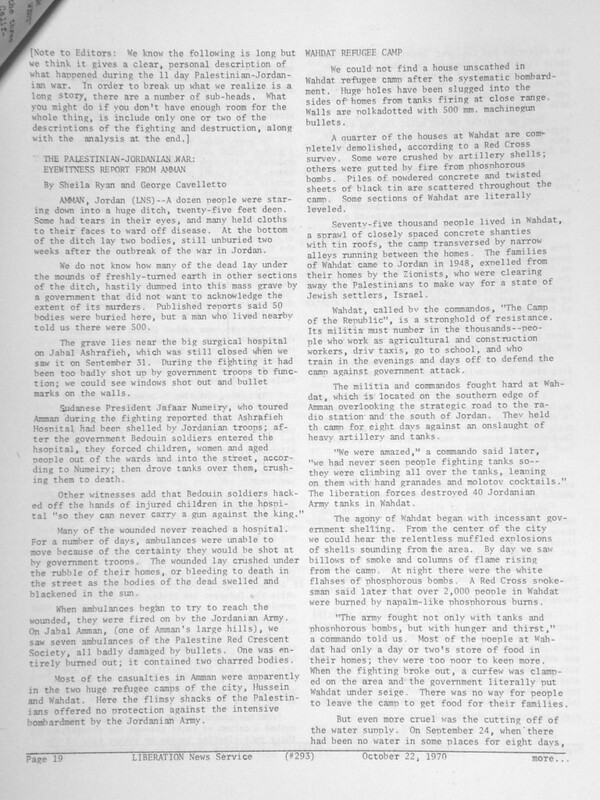 This entry was posted in Middle East, Publications on October 22, 1970 by Matthew. 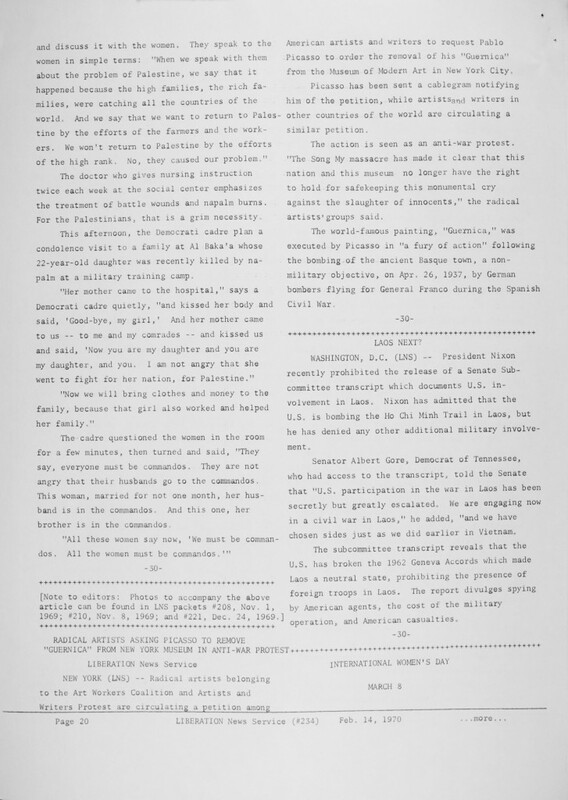 — From LNS packet 297, digitized and archived at lns-archive.org: p1, p2. 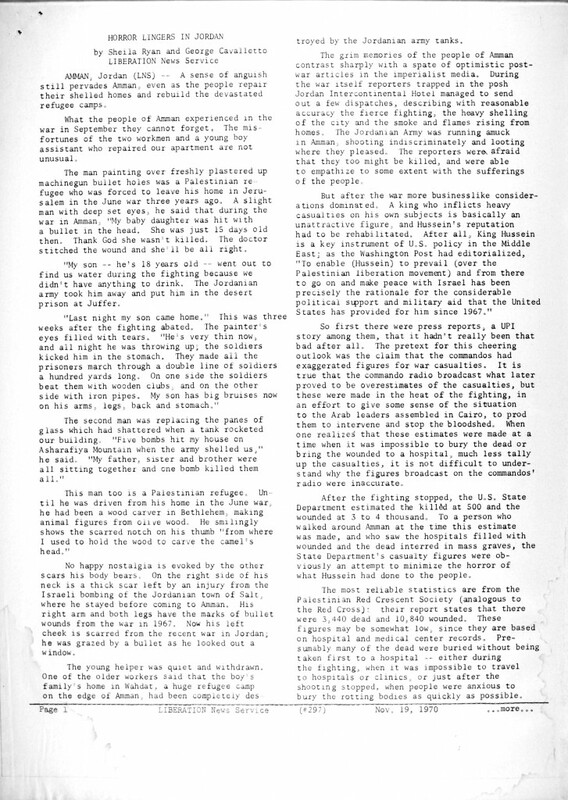 This entry was posted in Middle East, Publications on November 19, 1970 by Matthew. 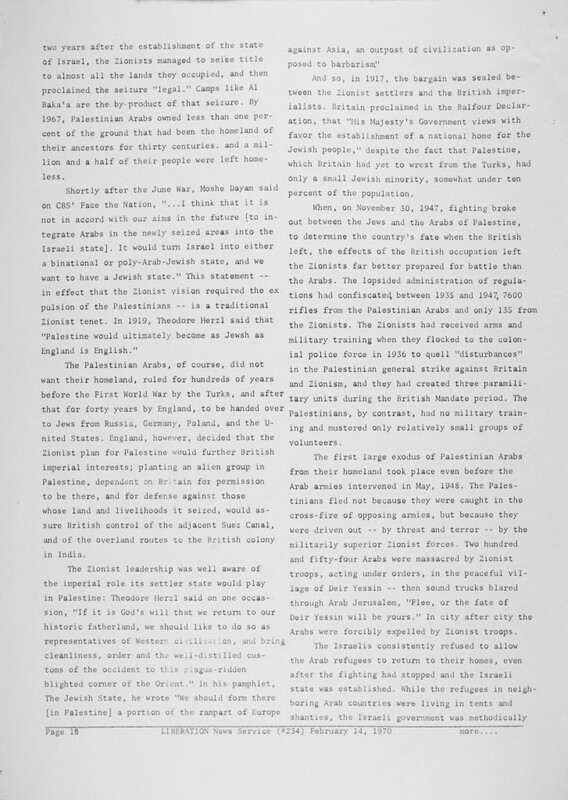 Re the Palestinian question, on my first trip to the Middle East in 1970 with the two founders of Liberation News Service, Sheila Ryan and George Cavelleto, we generally had a negative image of Yasser Arafat, but felt, at the time, that it was not our business to be deciding who should lead the Palestinian people, particularly when most Americans knew little about the Palestinians in the first place. He later felt that Sheila’s Palestine Solidarity Committee was too closely aligned with the P.L.O. When I returned, I focused on support for the Palestinian people’s rights as opposed to support for the PLO, but was ready to and did work with representatives of all the Palestinian groups in the Bay Area. When Steve Zeltzer and I founded the Labor Committee on the Middle East, in response to the failure of the Palestine Solidarity Committee to relate to that important issue, and its unwillingness to criticize the Histadrut (the Israeli Labor Federation) among a number of its failings, and became, despite our relatively small numbers, the most active group campaigning for Palestinian rights, we still maintained our distance from Arafat. — From a posting to the change-links mailing list by Jeff Blankfort, Nov 28, 2000, archived at Yahoo Groups. This entry was posted in Citations, Middle East on December 1, 1970 by Matthew.